Dandelion tea is a light, tasty and healthy tea that can provide a multitude of health benefits. Whether you are looking for a natural way to keep seasonal colds at bay, a gentle digestive tonic or a diuretic to help you detox, dandelion tea can be an easy and affordable option. Read on to learn more about this medicinal plant and why to add it to your tea collection. While you may be most familiar with the dandelions as the little yellow flowers in your yard most people treat as weeds, it’s actually an herb. The scientific name is Taraxacum officinale, but other common names are lion’s tooth and blowball. They have long stems that can grow up to a foot tall, roots that can go several feet underground and yellow flowers that give way to puffs that blow in the wind and disperse the seeds. Dandelions are edible and are used in everything from salads and soups to tea and coffee. All-purpose tonic. Dandelion has a rich history in traditional cultures as an aid to increase liver and kidney efficiency. It may also be beneficial for mild digestive issues, such as bowel irregularity and excess gas. 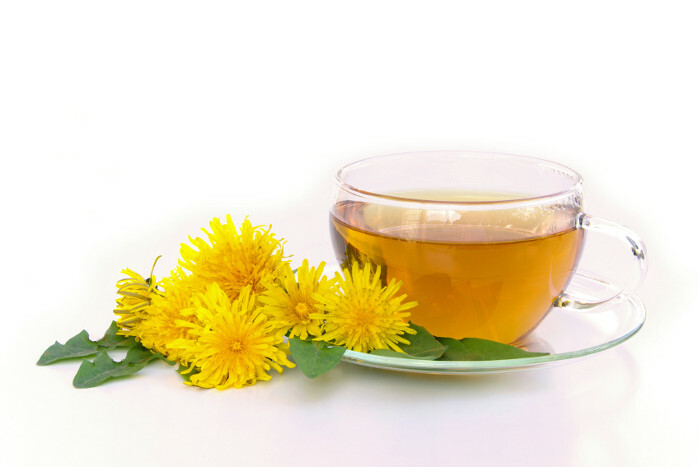 Dandelion tea may also help clear skin and reduce inflammation associated with skin conditions such as eczema. Mild diuretic. Dandelion is used to flush extra water from the body and can help with pregnancy-related swelling or extra water retention from too much salt. Weight loss aid. According to The Journal for Nurse Practitioners, dandelion can be helpful in breaking down fat and cholesterol. This combined with the diuretic effect and added fiber if you eat the greens after drinking the tea can help promote weight loss efforts. Nutritional supplement. Dandelion roots, leaves and petals all contain a variety of vitamins and minerals, from zinc and vitamin C to iron and potassium, to boost your immune system, provide antioxidants and promote overall health. Dandelions generally have a light taste that translates into a mild tea that is easily mixed with sweetener, lemon or even other stronger-flavored teas, especially if you are drinking a formula made from the greens. However, there are also dandelion teas — sometimes called dandelion coffee — that are made from roasted roots, resulting in a stronger, slightly bitter tasting tea. 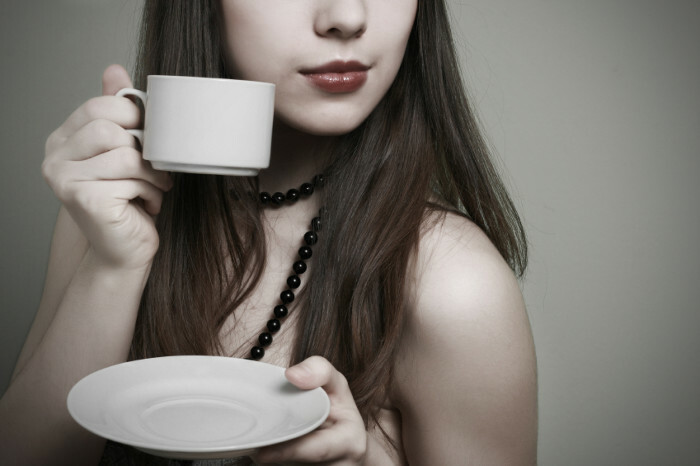 If you are using a dandelion green tea, sticking with light, refreshing flavors works well. Mint is a tasty option, but those who prefer a milder taste can add a little bit of milk. Dandelion root tea is best paired with a bit of your favorite sweetener — honey and stevia are good options — and some fresh lemon juice. If you are focusing on the health benefits of the tea over taste, try pairing it with another complementary herbal tea like chamomile or holy basil. While the taste of dandelion tea can take some getting used to, we love the flexibility of the flavor, how well it blends with other teas and the huge array of health benefits it offers. It’s easy to brew, being especially forgiving, and is one of our favorite options for a gentle detox tea.